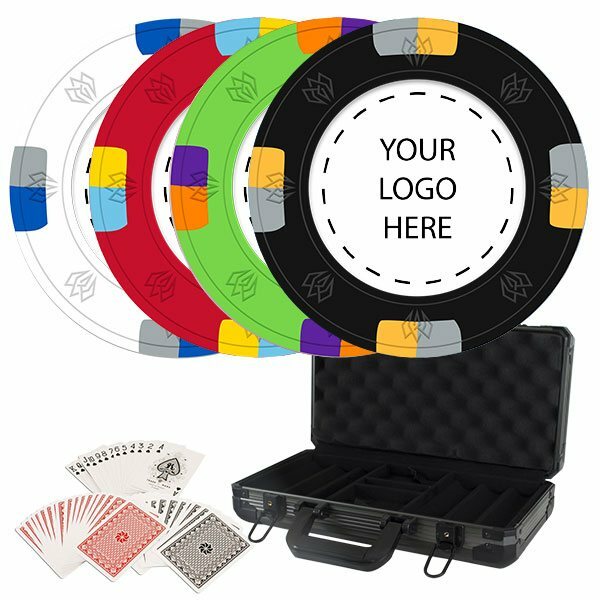 Order "8-Stripe" Composite Poker Chips with your custom design. 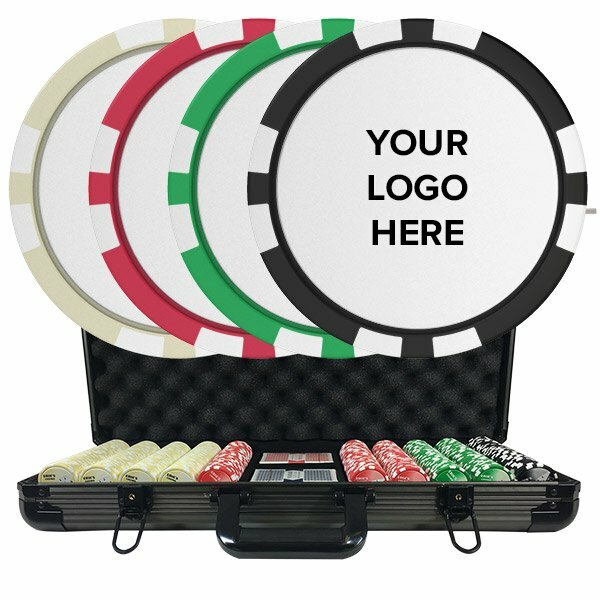 They are available in our standard 12 colors. The 8 "pips" around the perimeter are white. They weigh in at 12 grams and we print them directly. 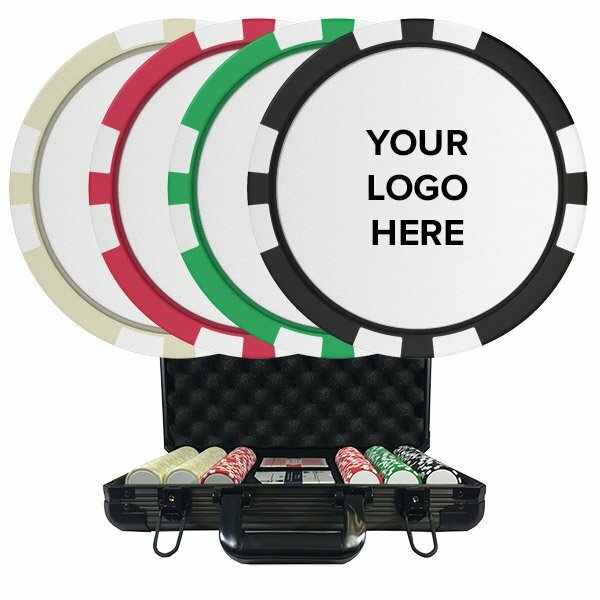 Choose from matte, semi-gloss, or high-gloss finishing. 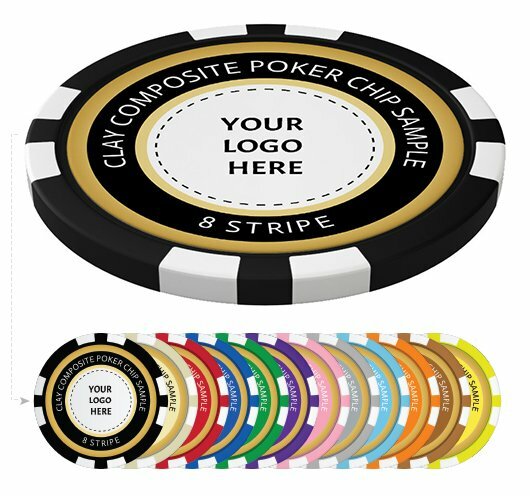 Our custom "Double-Stripe" Composite Poker Chips are also available in our standard 12 colors. 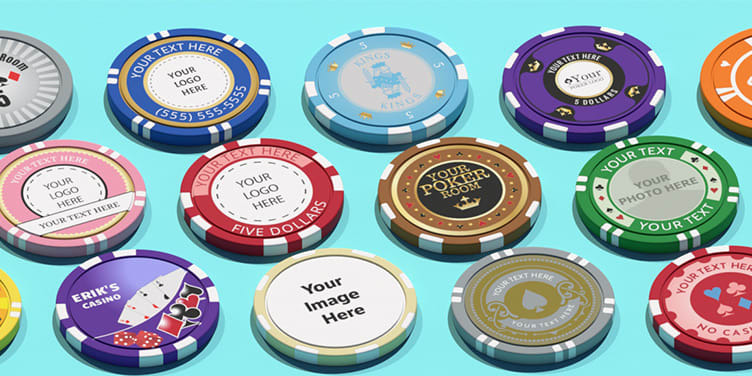 The "pips" around the perimeter are smaller than the other chip styles, but are also white. 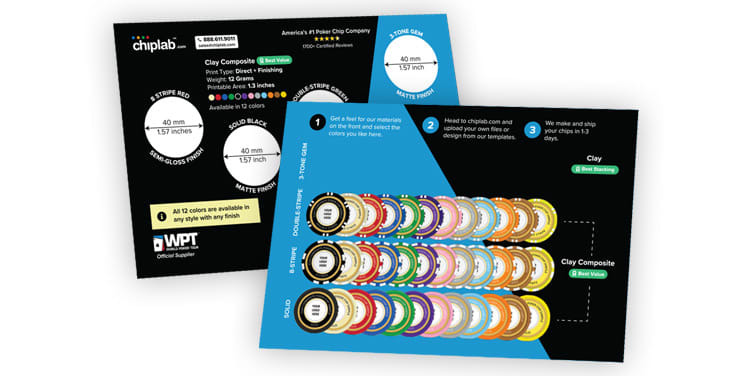 They weigh in at 12 grams and we print them directly. Choose from matte, semi-gloss, or high-gloss finishing. 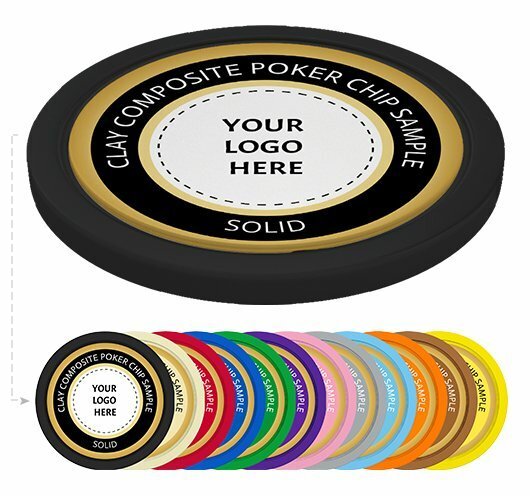 Order "Solid Edge" Composite Poker Chips with your custom design. 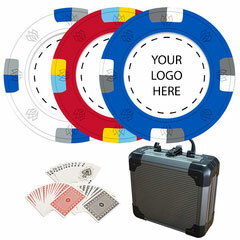 They are available in our standard 12 colors. There are not spots around the perimeter on this mold. They weigh 12 grams and we print them directly. Choose from matte, semi-gloss, or high-gloss finishing. 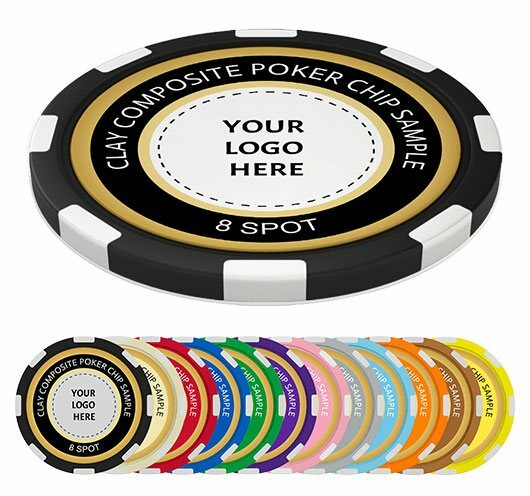 Our custom "8-Spot" Composite Poker Chips are available in our standard 12 colors. The "pips" around the perimeter are white. 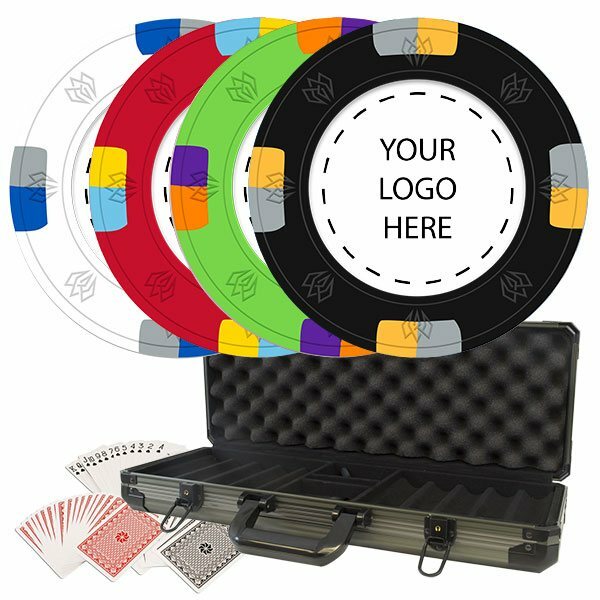 They weigh in at 12 grams and we print them directly. Choose from matte, semi-gloss, or high-gloss finishing. 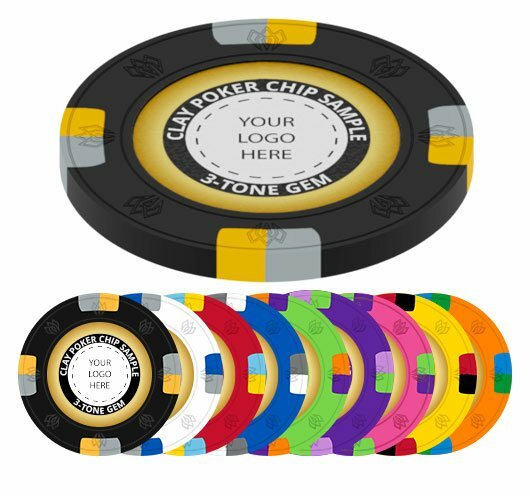 Our custom "3-Tone" Clay Poker Chips are available in 8 colors. There is a main color plus two additional colors which give it its name. They are a slightly heavier 13.5 grams and they feature either a matte inlay or a high-gloss inlay. 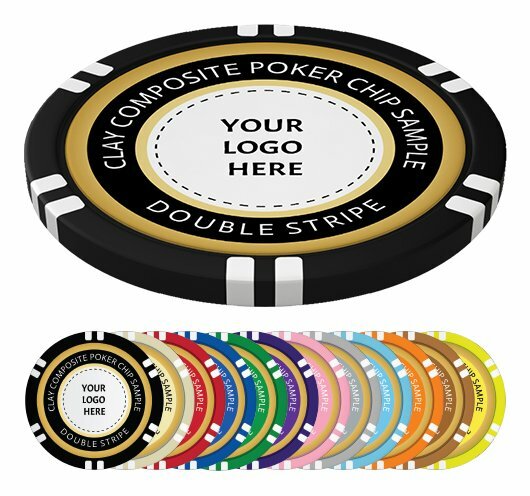 The printable area is 1" vs. 1.3" for the "composite" chips we sell, but they are softer and stack better.